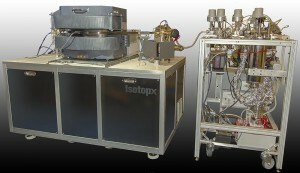 Isotopx can supply a fully automated gas extraction line for the preparation and clean-up of noble gas samples and standards. Extraction lines are constructed from stainless steel and are designed with extremely low internal volume. The actual specification for each sample preparation system is agreed after detailed conversation with the end user but usually vacuum is provided by a 40 l/sec ion pump and an 80 l/s turbo-molecular pump backed by an oil-free diaphragm pump. All preparation lines are fully bakeable. An air tank reservoir coupled to an automated pipette allows air or specific gas standards to be easily admitted into the system. 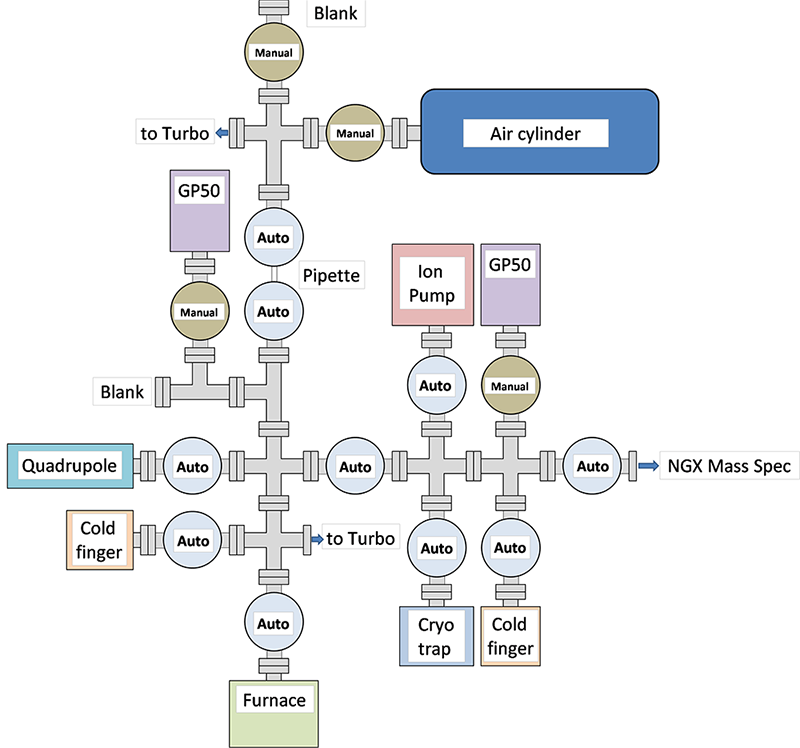 Automated valves then allow the manipulation of gas samples and admittance into the mass spectrometer. All sample preparation systems are fully controllable via the instrument control PC. The following image shows the NGX with a typical sample preparation and extraction line whilst the schematic below shows an example configuration including a furnace and quadrupole leak checking system. Please talk to us about your specific requirements. 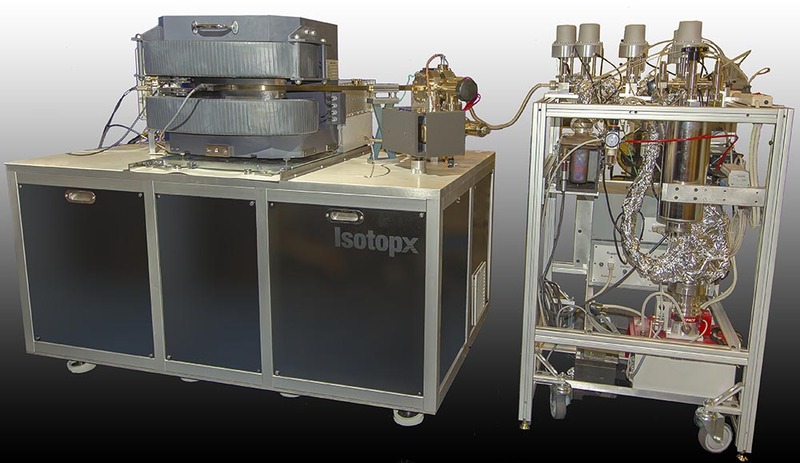 Isotopx can supply complete packages including the NGX multi-collector noble gas mass spectrometer with a variety of sample preparation systems. Contact us for more details.